When it's "Chain Mail Day"... Dr. Hartnell wears in the real stuff. And no matter if it's 90 degrees outside, when it's time to wear his American Revolution or Civil War uniforms, he'll gladly suffer through the heat (in lovely 100% wool)... all in the "name of education". Shown below (coming SOON) are some of the uniforms that you'll see Dr. Hartnell traipsing around the hallways of Westerville North. Not every one of Dr. Hartnell's uniforms will be pictured. After all, it makes coming to class more enjoyable if you have no idea what he'll be wearing next! 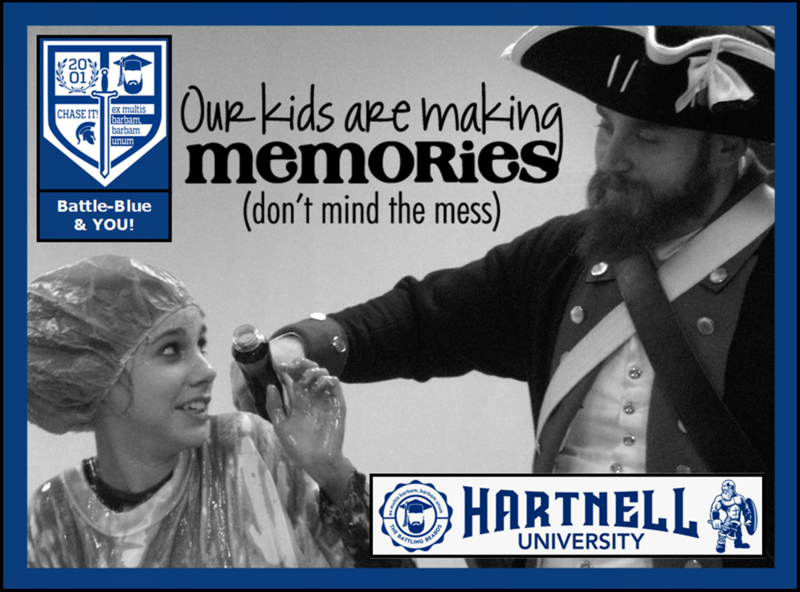 In the meantime, Dr. Hartnell does post summaries of each day (including his wardrobe) on Hartnell University's Instagram, Facebook, and Twitter pages. To access these, click below.